Your blog post titles not only need to grab attention due to their content, but they should also be consistent from post to post. Multiple blog post titles are often seen together on one page, such as when you have short teasers on your home page that lead to full posts. Plus, you have new readers who are soaking up post after post and regular readers who surely read every one of your posts. So, if there’s one place to apply consistency, consider blog post titles one of the most important. 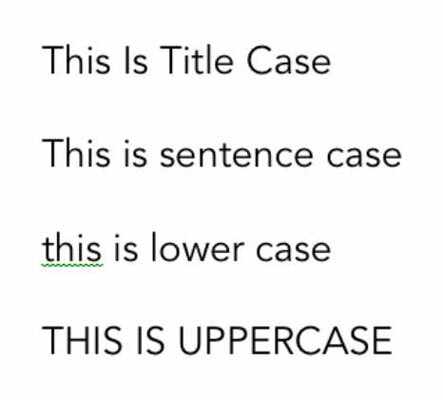 Capitalization: Do you write your post titles in title case, sentence case, lowercase, or uppercase? If you use Title Case, typical style does not capitalize articles (such as a, an, and the) or prepositions (like on, from, or by). You could keep a list in your style guide to remind you which words you don’t capitalize. Word or character count: Do you want to stick to a certain number of words or characters so that your titles look uniform or so they take up only a certain number of lines? Labels to special posts: When you have a guest blogger, do a product review, or run a weekly series, do you include a specific label in the title? For example, you could begin each title with Review:. Special formatting: Do you want to apply any other styles to your blog post titles? If you write a lot of news-related blog posts, perhaps you adapt that more journalistic style. For example, journalistic writing often eliminates articles in the beginning headlines (a, an and the) and uses a comma in place of and. As another example, maybe you want all blog post titles to end in punctuation like a period, question, or exclamation point.